So now what products were in the bag and did I tried them before ? 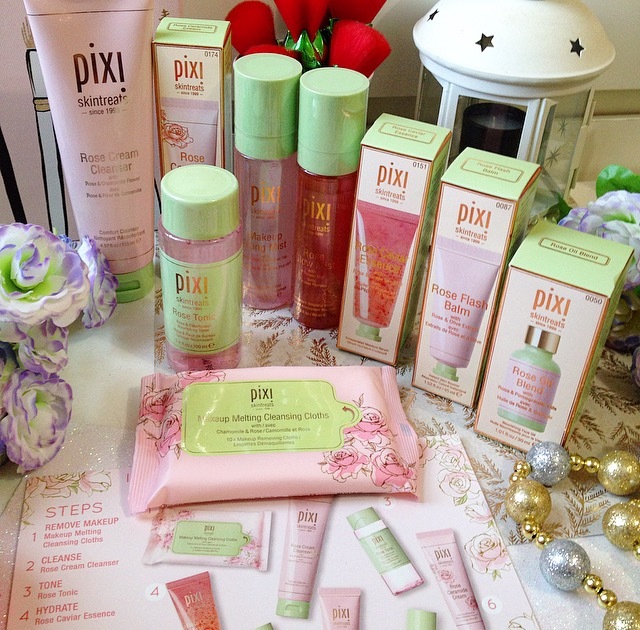 Pixi basically sent over the whole Rose Infused line. I did try some products before and some I am eager to try. 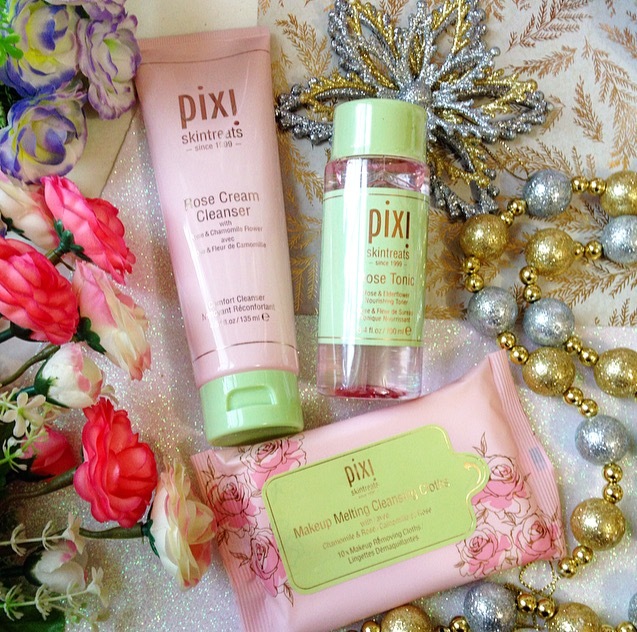 As I am writing this post the "new new" products landed on bathroom counter and I will be testing them out. 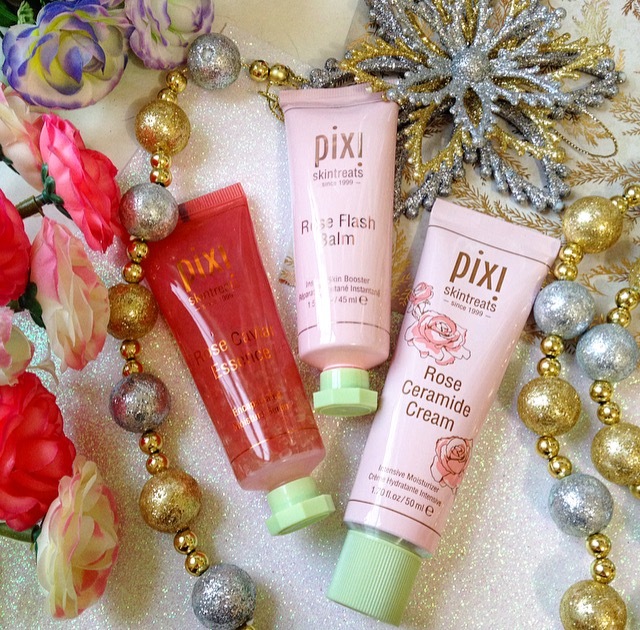 Rose water, rose oils, rose anything is very popular in skin care these days, and it should. Rose water and the oils has many great skin benefits such as anti-inflammatory, it helps minimize redness, soothes the skin irritation and helps with blemishes. Plus keeps the skin moisture and it is ideal for all skin types, especially acne/ sensitive skin. * Makeup Melting Cleaning Cloths ~ with Chamomile, Grape Seed Oil and Rose. The small pack includes 10 wipes. This is one of the products I have not yet to try. 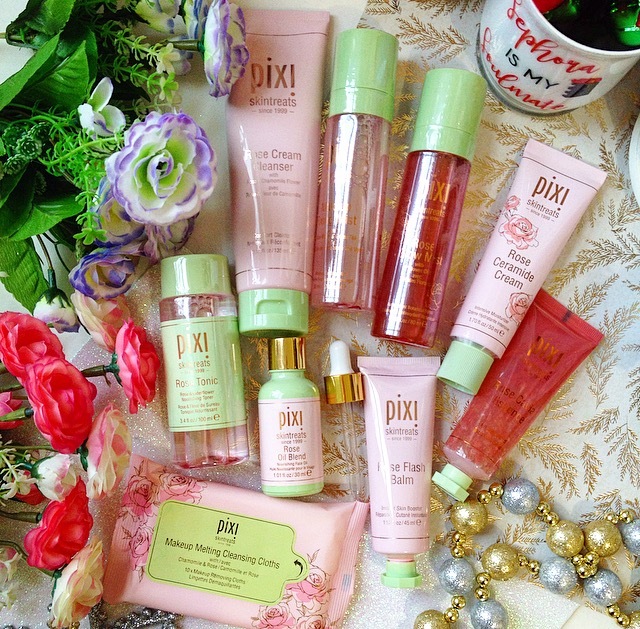 But according to Pixi, it should gently and efficiently remove all traces of makeup. Infused with soothing and hydrating botanical extracts, these wipes will make skin feel clean and balanced after each use. * Rose Oil Blend ~ This is my favorite oil! 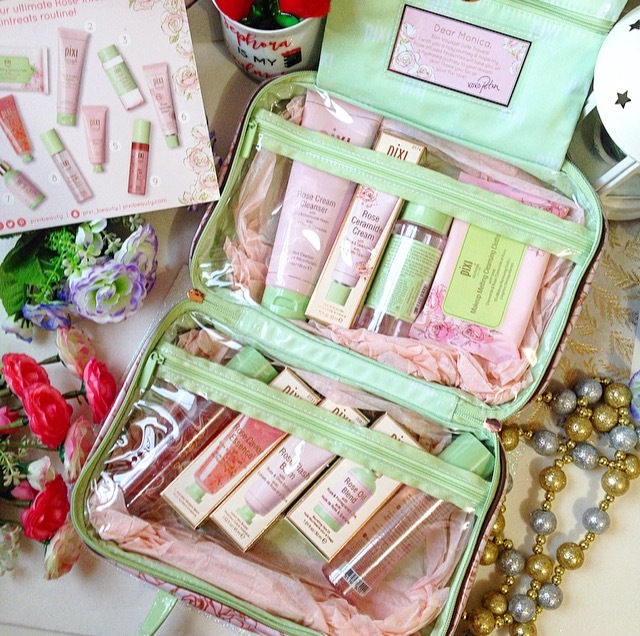 Not only my, ask my sister in law how many did she used already :) I always see her repurchase it. And guess who introduce her to it :) You got that right, ME:) It extremely hydrates, restores and provides skin with natural glow. I don't use it every day, but when I do is mostly night time, I add 1-2 drops to my moisturizer and I can head to bed. 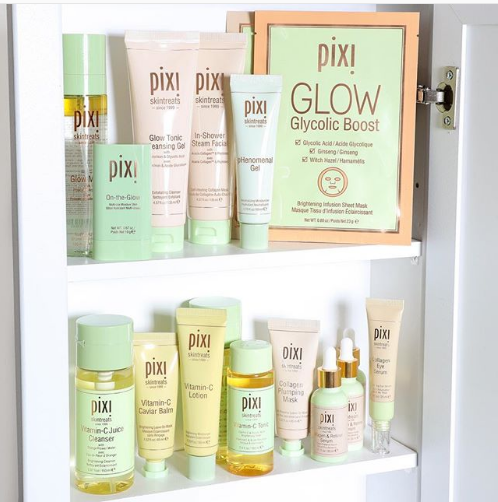 Did your try Pixi Skin Care before? What are your favorites? 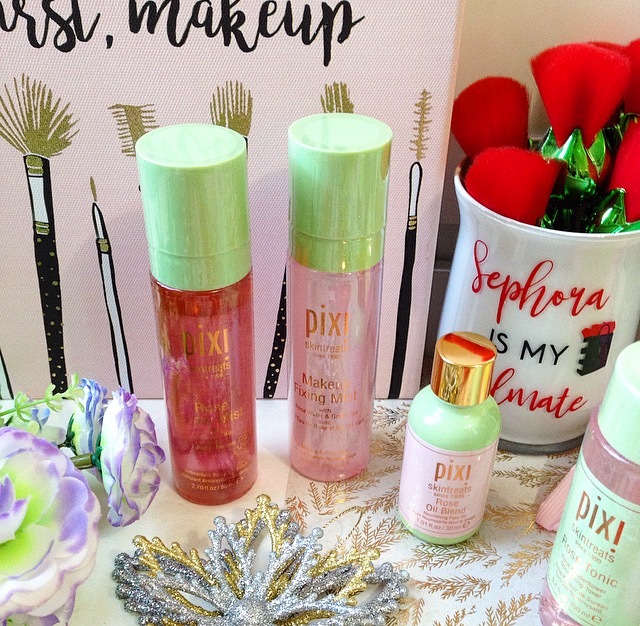 I love Pixi so much - their Rose Oil Blend is one of my favourite oils and I also love their Glow Mud Mask. I've been using the newer Vitamin-C Tonic and I'm loving it! 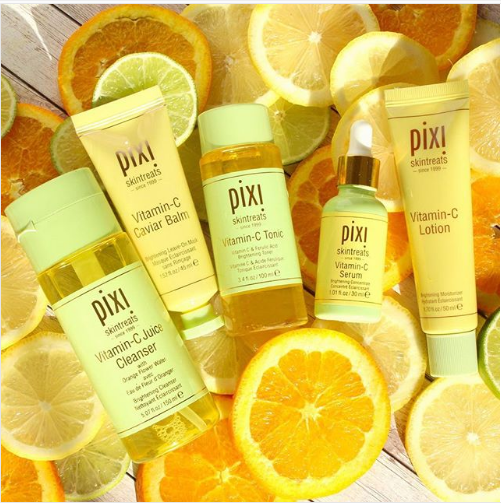 Eager to try more from the Vitamin C line. Bardzo fajne produkty :D Jeszcze się z nimi nie spotkałam. Kuszą mnie te cudowności:). Będę musiała wypróbować przynajmniej toniki:). I received all these goodies in this travel bag as well and was overwhelmed with all the amazing products. Can't wait to try out their Vitamin C line! 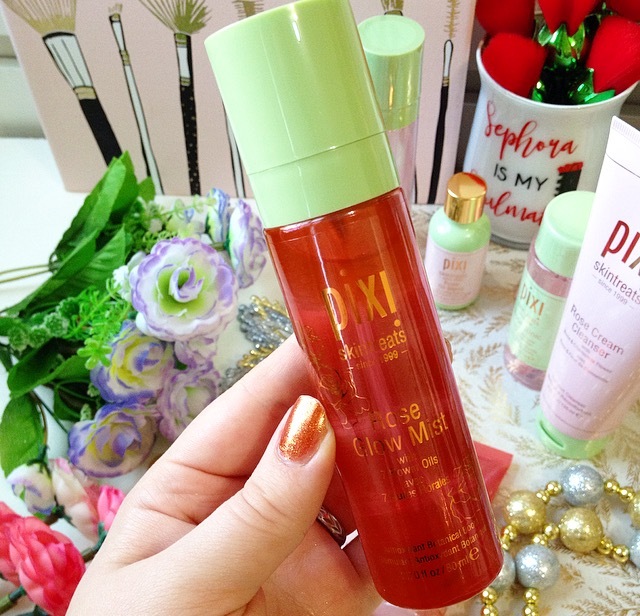 I've tried their rose mist and glow mist and love both of them. I really need to try more of their products. Znam tę markę, ostatnio o niej głośno, ale jeszcze nie testowałam żadnych produktów. They do make some great products. I used their setting mist and I love it.